When Lansinoh provided us with product to review for them we enlisted some moms to help us with the process. We were so happy to get some very honest and thorough surveys about these therapy packs, along with our own opinions. This product is a mommy favorite by a landslide! 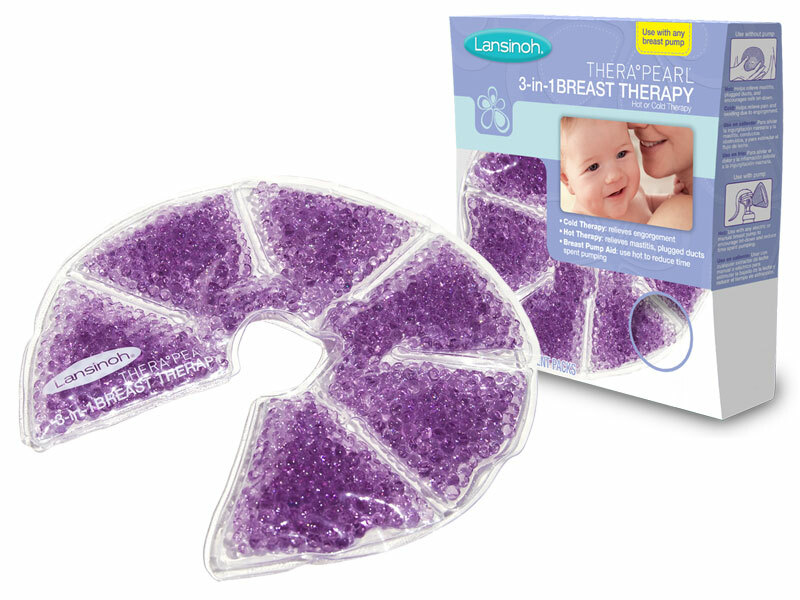 The therapy packs help you overcome engorgement, plugged ducts, and mastitis. You can form the packs all the way around your breast for relief all over, not just in one spot. There are two in a box, and can be used hot or cold! Cold – to help with swelling. Hot for relief from plugged ducts or mastitis, OR as a pump aid to help with let down and pump time. Pros: Very easy to use! One of our mommy- testers said “I usually don’t respond to the pump very well and have a hard time getting much milk from pumping, but these warm packs really increase the amount of milk I am able to express. I ‘m very impressed!” These packs stay warm up to an hour, so way longer than you would ever need them to pump! These also help you fully empty, while pumping, to get the most out of your pumping session. Freezing the packs works just as nice, staying cold for about 45 min for relief! Cons: The only cons that some moms had, was that they get hot spots after being in the microwave. This problem is easily aided by squishing them around a little before applying them. Also depending on size of breast, they slide around a little while pumping, so you have to get them sitting pretty good before you begin, or you will have a mess. This product is great, everything that Lansinoh claims that it is and more. All of our moms gave it a 5 star rating and said that they would recommend their friends to purchase this product!